This is an encouraging news for young people. Whatever you are doing, do it well and your results will speak for itself. 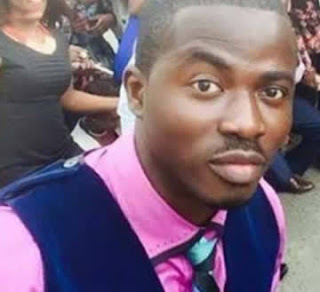 Authorities of the University of Lagos on Wednesday declared a Psychology graduate, Ayodele Dada, as the overall best in the institution’s history. Dada scored a Cumulative Grade Point Average of 5.00. No candidate has ever obtained the grade in the annals of the 54-year-old university. The Vice-Chancellor of the university, Prof. Rahamon Bello, made this known on Wednesday while announcing programmes for the institution’s 48th convocation ceremonies. The convocation ceremonies, according to the VC, will hold between March 1 and 3. Ten thousand, nine hundred and seven persons will receive degrees, diplomas and certificates during the ceremonies. Apart from Dada, the VC noted that 177 other candidates obtained First Class while 71 persons obtained PhD degrees. Bello stated that 1,617 candidates obtained Second Class Upper degrees. Of the 11 faculties, he said that the Faculty of Engineering topped the performance register with 41 First Class graduating students. The same UNILAG, two years ago, had produced Dr. Hallowed Oluwadara, a 24-year-old, as the youngest doctoral degree holder in Africa. Oluwadara studied Mathmatics.